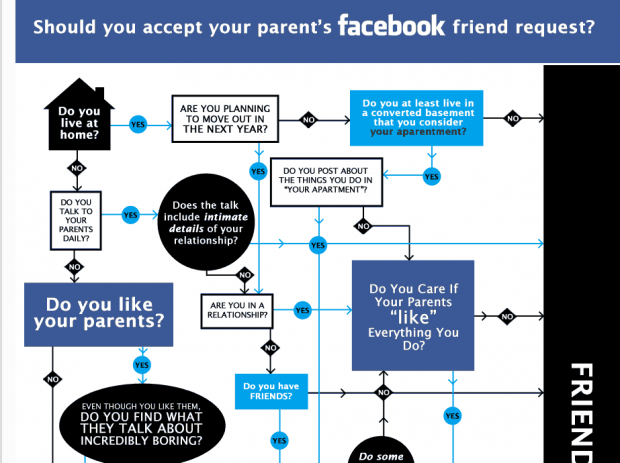 Should Kids and Parents Be Facebook Friends? Ideally, they kids and parents could coexist in the world of Facebook -- communication is the lynchpin in healthy parent-child relationships! -- but the site Coolmaterial has other ideas. It's snarky to be sure, but it does provide the kid's point of view.